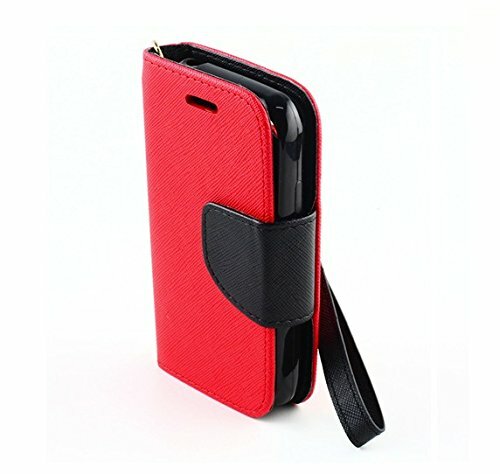 Premium PU vinyl synthetic leather wallet pouch flip cover (Red & Black) for the Straight Talk, Tracfone, Net 10 LG Optimus Fuel L34C. This wallet case is made of premium textured hard plastic interior back casing with high quality PU leather coated front cover for durability and classic leather look and feel. The interior is lined with soft non-scratch material that protects your device from scuffs and scratches. The case has a flip cover with a magnetic closing flap that keeps the front cover safely closed. Wallet pouch features built in credit card and ID card slots for easy access. Manufactured with custom cut outs for all ports, buttons and cameras. 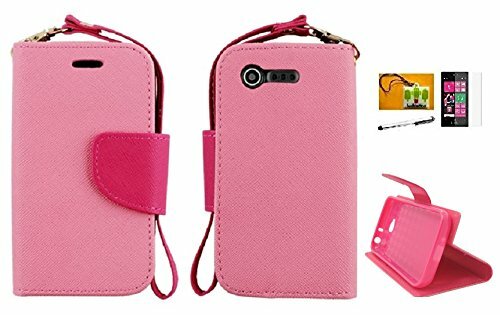 The case is not an OEM product from LG or Straight Talk, Tracfone, Net 10 directly, but rest assured it is manufactured with the highest quality materials and craftsmanship. Bemz Depot Atom LED keychain light is included. Dropped your phone in the dark? This LED keychain is perfect for illuminating dark areas. Has an ON/OFF switch and pressure button. Comes with 3v watch battery. Attaches easily to any keychain. 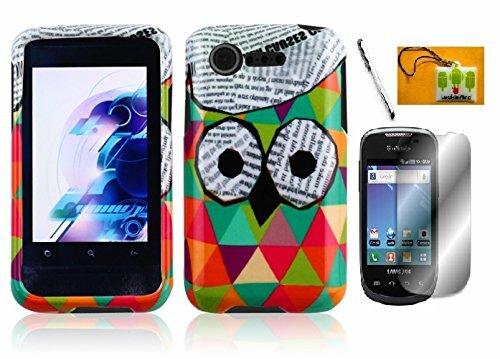 Case is manufactured for the LG Optimus Fuel L34C offered on the Straight Talk, Tracfone, Net 10 network. This premium combo pack includes a hard shield case (Black) and screen protector for the Straight Talk, Tracfone, Net 10 LG Optimus Fuel L34C. The case is made of 2 hard plastic pieces and clip to the front and back of phone. The surface of the case is covered with a rubberized coating for extra grip and protection. 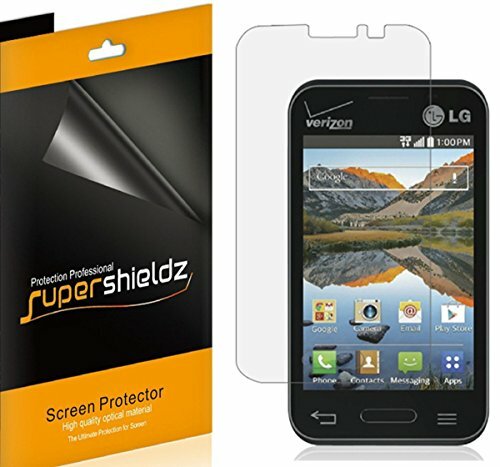 This armor case offers excellent protection by preventing chips and scratches to the device. Screen protector is 100% clear and transparent. Each screen cover is individually sealed and comes with cleaning cloth and easy install instructions. 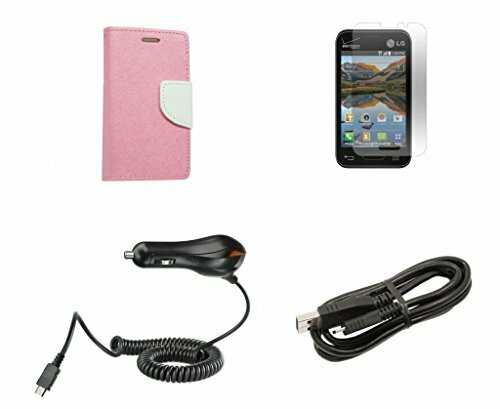 Accessories are not OEM products from LG or Straight Talk, Tracfone, Net 10 directly, but rest assured they are manufactured with the highest quality materials and craftsmanship. Bemz Depot Atom LED keychain light is included. Dropped your phone in the dark? This LED keychain is perfect for illuminating dark areas. Has an ON/OFF switch and pressure button. Comes with 3v watch battery. Attaches easily to any keychain. All accessories are made for the LG Optimus Fuel L34C offered on the Straight Talk, Tracfone, Net 10 networks. 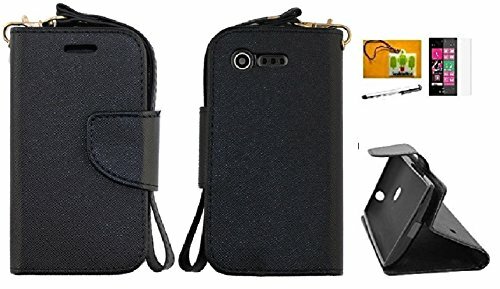 Premium PU vinyl synthetic leather wallet pouch flip cover (Black) for the Straight Talk, Tracfone, Net 10 LG Optimus Fuel L34C. 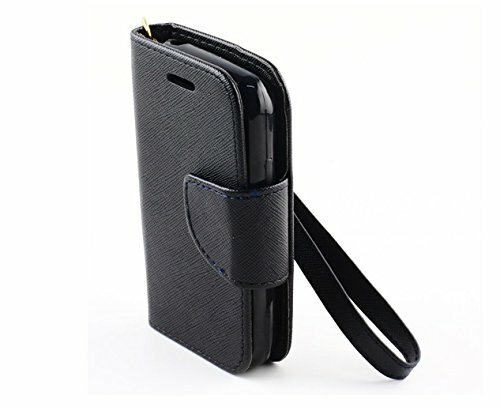 This wallet case is made of premium textured hard plastic interior back casing with high quality PU leather coated front cover for durability and classic leather look and feel. The interior is lined with soft non-scratch material that protects your device from scuffs and scratches. The case has a flip cover with a magnetic closing flap that keeps the front cover safely closed. Wallet pouch features built in credit card and ID card slots for easy access. Manufactured with custom cut outs for all ports, buttons and cameras. 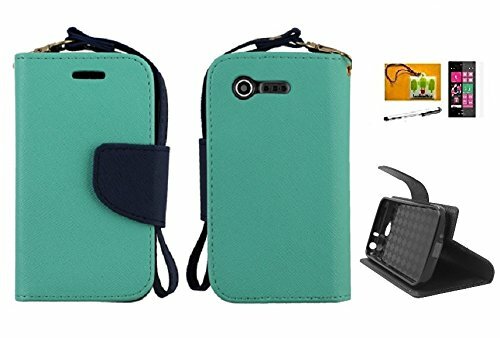 The case is not an OEM product from LG or Straight Talk, Tracfone, Net 10 directly, but rest assured it is manufactured with the highest quality materials and craftsmanship. Bemz Depot Atom LED keychain light is included. Dropped your phone in the dark? This LED keychain is perfect for illuminating dark areas. Has an ON/OFF switch and pressure button. Comes with 3v watch battery. Attaches easily to any keychain. Case is manufactured for the LG Optimus Fuel L34C offered on the Straight Talk, Tracfone, Net 10 network. Not a bad phone. The screen is not that impressive, the Optimus Fuel has a much better screen than this, but all in all this is a pretty good deal! Compare prices on Net 10 Lg Optimus Fuel at ShoppinGent.com – use promo codes and coupons for best offers and deals. Start smart buying with ShoppinGent.com right now and choose your golden price on every purchase.